So Xiaomi partnered with Black shark to unveil the long awaited Black Shark gaming smartphone today. And just as the name implies, the Black Shark gaming phone is dedicated solely to folks who loves playing intense graphical demanding games on their handheld devices. So as a result, the Black shark smartphone came equipped with the impressive Qualcomm Snapdragon 845 SoC along with up to 8GB of RAM to aid breezy gaming experience. But, the Black Shark is not the first smartphone dedicated for such purpose. I’m not talking about the old Nokia Nintendo consoles. but rather the Razer Phone which was announced last year. 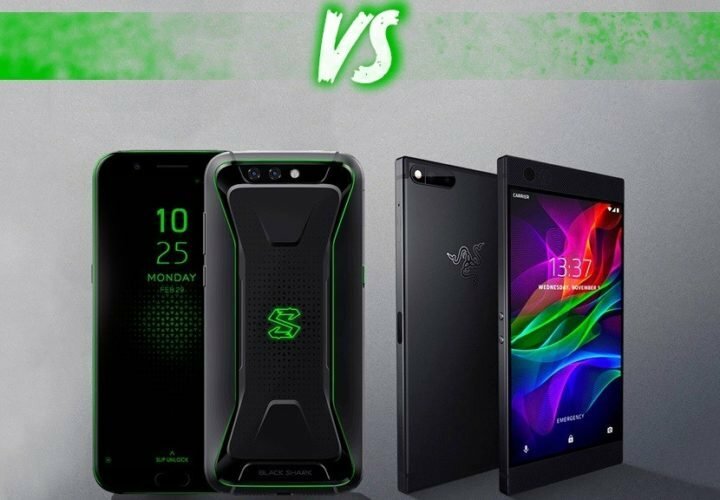 Razer phone had so much similar specs similar to the Xiaomi Black Shark smartphone, if not for the upgraded SD845 present in the new comer. So, let run through a specs comparison of these two smartphones. It seems your best buy among the two is the Xiaomi Black Shark. The Black Shark tend to offer new wine (Snapdragon 845) in New wineskin. And at same time, the company have tried to keep pricing on the Black Shark a bit more competitive than competitors offering. On the other hand, the Razer Phone tends to look more like a smartphone than just a gaming brick (console), which is the plague of the Xiaomi Black Shark.